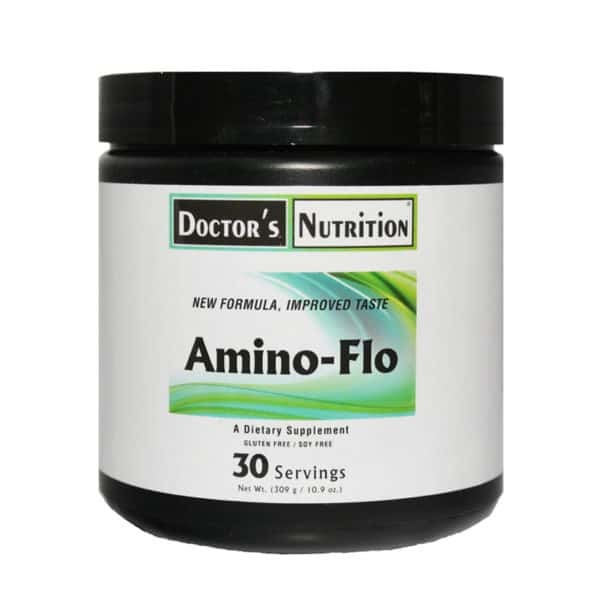 Amino-Flo represents the gold standard in Nitric Oxide (NO) nutritional support. * It contains targeted, precise ingredients aimed at blood vessel support. * Citrulline and Arginine both play a role in Nitric Oxide production itself, and Proline and Lysine both lend direct support to the integrity of the blood vessel wall. * This supplement may help with erectile dysfunction. Since NO is produced by the endothelial cells, it stands to reason that if there is damage to the vascular cell walls via homocysteine levels and free radical damage, the production is going to suffer. This also becomes a viscious cycle: the endothelial cells get damaged, the NO production falls, the vessels then become more constricted and prone to additional damage and the cycle continues. In this formula is L-Proline is which acts like “Teflon” in the blood vessels inhibiting the stickiness of Lipoproteins, fatty globules, preventing the buildup of plaque. L-Proline may help release already deposited fatty globules from the vessel walls back into the blood stream. 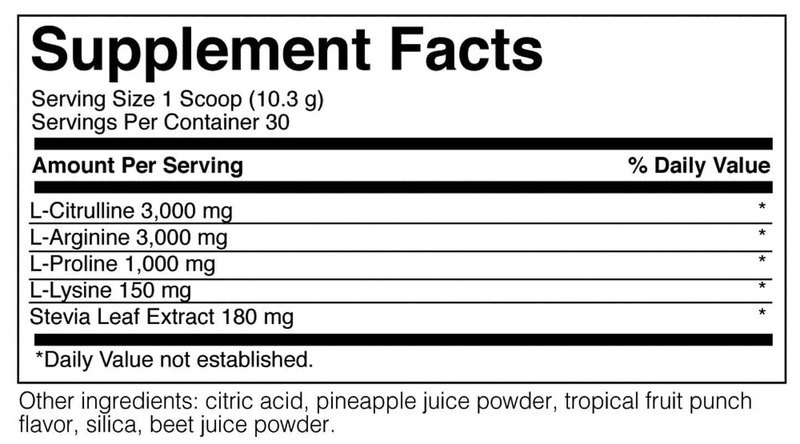 Suggested Use: As a dietary supplement, mix one scoop (10.3 g), once or twice a day, in 8 oz. juice or water and take on an empty stomach or as directed by your healthcare practitioner. Warning: Persons with kidney or liver disorders or are taking blood thinning, blood pressure or erectile dysfunction medications should consult with their healthcare practitioner prior to using this product. If pregnant or nursing, consult your healthcare practitioner before taking this product.